Digital files are now available for purchase! 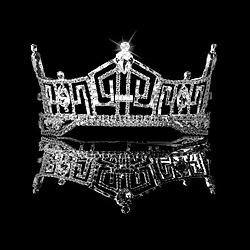 Miss Blue Ridge, Miss Asheville, & Miss Hendersonville contestants can purchase a digital files for $5/ each. Digital files let you share your memories on mobile devices, computers, social media, and other digital platforms. Web resolution files are perfect for web use but not recommended for printing. Original, high resolution files are best for printing, canvases, frames, and more. To view or purchase pictures use the button below. Login using your email or facebook. To Order, browse the images and click “order” once you have selected the image you like. Their is a watermark on the pictures! Will my dowloaded digital file have that? No, the watermark is only their to deter people from stealing the images. When you purchase and download your photo the watermark will not be on your file. Can I get a high resolution of an image? Yes, please contact me here. Please include the photo(s) you are interesting purchasing in high-resolution. Please contact me here if you’d like pricing for LIVE Pageant Photography.